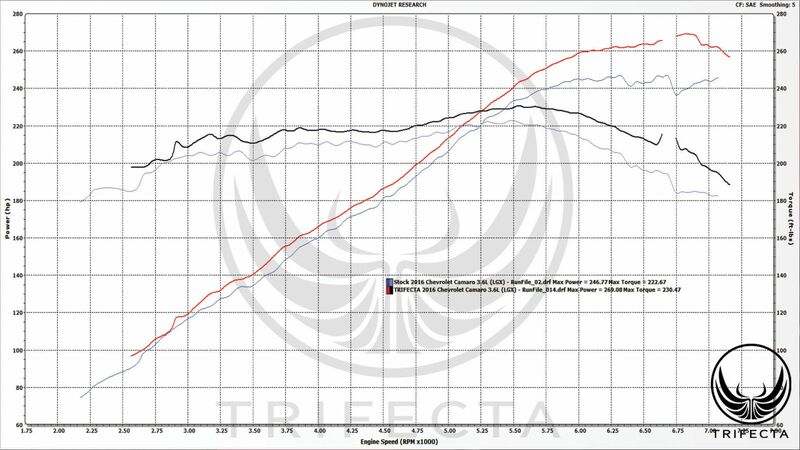 TRIFECTA presents a complete powertrain power delivery profile calibration for the 6th Generation MY2016--2018 Chevrolet Camaro 3.6L (RPO: LGX) engine and corresponding 8-speed 8L45 (RPO: M5T) automatic transmission reprogramming. The TRIFECTA Performance Chevrolet Camaro 3.6L LGX powertrain calibration is an easy to install software performance calibration with an included flash loader device (EZ Flash Cable) that will yield gains of up to +17 ft-lbs and +23 WHP (Peak gains of up to +8 ft-lbs and +22 WHP) to a completely stock Chevrolet Camaro 3.6L LGX. The TRIFECTA Elite Powertrain Calibration for the 6th Generation MY2016--2018 Chevrolet Camaro offers premium tier-1 support. With this product, customers can request specific calibration changes and support for third party hardware. Remote-tuning services are offered with this tier. Includes a TRIFECTA flash loader. 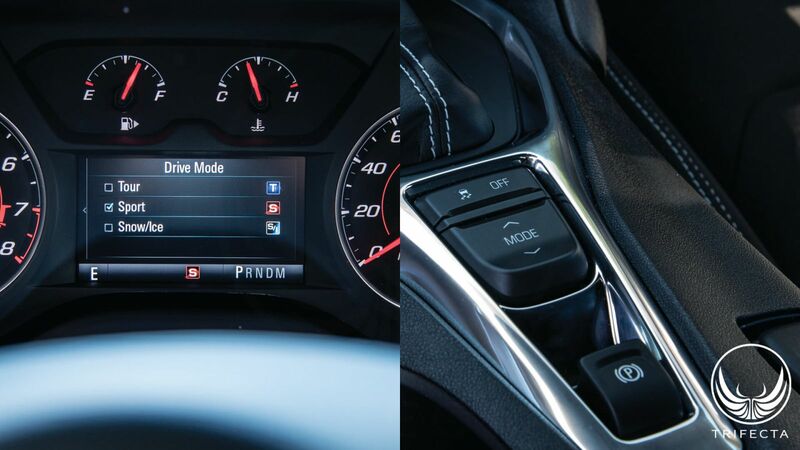 -2017 Camaro models with the 8-Speed automatic transmission and T87A transmission control module (TCM) DO NOT require an UNLOCK. Actuate AFM (Active Fuel Management) via the Drive Mode Selector. Crazy how much of a difference this tune makes to the V6. Sure, there is more power especially at higher RPMs but the shift points and throttle response make it a different car. I also noticed the car likes to cruse at higher speeds now. No impact at all to the MPG. Loading is easy once you figure out how to keep the ignition on (hold the start button until the gauges come on). I hate I waited a year for this. Reviews are hard to find for this but I am 100% happy and would do it again. Support is great and the guys here take good care of you. I encourage you to pull the trigger now. You will not be sorry!